Family and Divorce Mediation is one of the most frequently used methods of negotiating a divorce settlement. In divorce recovery and divorce mediation, you and your spouse -- or, in some cases, the two of you and your respective lawyers -- hire a neutral third party to meet with you in an effort to discuss and understand strong emotions and attempt to resolve the issues in your divorce. The mediator doesn't make decisions for you, but serves as a facilitator to help you and your spouse figure out what's best. To understand the differences between a good divorce and bad divorce requires a proactive decision by both parents to see the possible impacts and trauma associated with a "bad divorce". Both spouses can begin to see the possibility of reducing children's hurt and negative emotions with a "good divorce." A bad divorce typically refers to the "losses" that usually accompany the end of a marriage. There are inevitable dislocations as some or all of the family has to adapt to new homes, changed economic circumstances, new parent-child arrangements, and all of the feelings that come with major change - feelings of loss, anger, humiliation, failure, insecurity, fear, and uncertainty for the future of oneself and one's children. At its best, divorce is a painful and stressful experience for all whether done well or poorly. The second factor is the way or the how of divorce. This refers to the manner in which the couple gets divorced. Do they both negotiate a settlement of child-related and financial issues that both regard as "fair" or is it a battle at every turn to see who can "one up" the other into submission? Do they retain the capacity for civil and cooperative communication around the children or do they forfeit this to bitterness and retaliation? Do they retain control over the negotiation process or do they give that control up to contending lawyers and the judicial system? The fact that some couples have ugly divorces and others have decent divorces is not explained by chance alone. We know that there are steps that couples can take that can reduce the level of conflict in divorce. And divorce research shows that reducing that level of conflict also reduces the impact of the divorce trauma on both the separating couple and their children. Also, the quicker both spouses can establish stability in the midst of change, parents as well as children can make faster adjustments and heal from the divorce much quicker, thus reducing the likihood of long term trauma. A more collaborative approach in divorce does not eliminate all the pain, hurt, and disappointment linked to divorce. In these situations, we encourage you to hold yourself accountable for your actions/reactions and help you through divorce recovery counseling to help you heal from the loss of this relationship, learn from relationship mistakes, increase confidence in yourself and set you up for future relationship success.  For the past twenty years counselors and marriage therapists have been encouraging divorcing clients to use mediation rather than adversarial divorce as a way to negotiate settlement agreements. We know that most couples who mediate do so successfully. 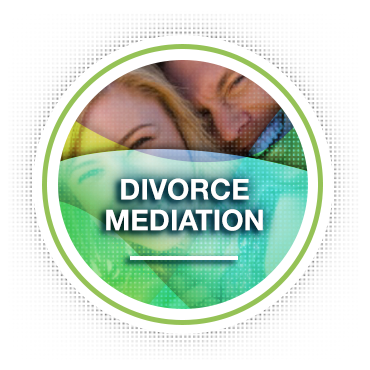 We believe that anyone that is involved in a divorce should consider mediation as an option. Counseling Mediation can work for almost all couples and has a long list of benefits. Why should I consider this approach over hiring an attorney and letting them work it out for me? 1. Research suggests that around 80% of those who try, actually succeed. 2. We also know that those couples conclude their agreements in much less time, at far lower cost. 3. Couples have a much higher rate of compliance with agreements than do couples who settle their divorces through traditional methods. 4. You are in control of the outcome, not the court system. 5. The counseling mediation process can improve communication between you and your spouse, helping you avoid future conflicts. 6. This process is confidential and not public record. 7. Your children see that adults can resolve problems peacefully (if they choose to do so) and not put them in the middle. 8. Lastly, you learn a crucial skill needed in co-parenting and discovering how to communicate and work through problems! When you allow attorneys to work out your problems, you do not develop this skill as you would with this process. Once the attorneys are paid, you are still stuck with your ex-spouse and the emotional pain associated with a "bad divorce" and your problem resolution skills are minimized. How does this process help your children? 1. This will be a "non-adversarial environment" between you and your spouse. 2. We will answer family questions directly and honestly. 3. We will establish co-parenting plans. 4. All parties are able to "save face." 5. You are able to develop a plan and begin to execute the plan much sooner than in a "typical divorce" scenario. (This reduces confusion sooner and allows children establish a sense of normalcy and adjust to the realness of the divorce situation). 6. All sessions are private and confidential. 1. I must have an attorney to work out my issues with my spouse. 2. Custody of children are always decided by a judge in court. 3. Financial arrangements (spousal support, child support) must be a long drawn out fight and decided on after spending lots of money litigating my wishes (which may or may not be decided in your favor). 4. I have to "win" the divorce to punish my ex-spouse. In divorce mediation, the focus is on keeping the divorcing couple in control of the process. A highly skilled and trained family and divorce mediator helps the couple to have discussions and negotiations that they are unable to have on their own because of the deteriorated state of their relationship and serious emotional hurt. At Family Solutions Counseling Center, Dr. Scott Shelby is our trained and state certified family & divorce mediator. In his experience, most mediations can be completed between 4-8 hours when both parties are ready to find solutions to issues related to child support, visitation, spousal support, and property division. * Please note that family and divorce mediation helps identify common problems in the divorce process, helps reduce conflict, begins the healing process sooner, and sets up everyone for greater success in the future. Also, note that we are not attorneys (or claim to be in anyway), nor are we child custody evaluators, and do not wish to appear in court on "your behalf" (we feel that you are the best decision maker for your family, not us). Our goal is to help facilitate the process to a successful and fair outcome for you, your ex-spouse, and your family.